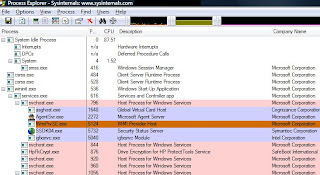 Process Explorer a small very handy utility or we can call it an "Advanced Task Manager" for Windows. Through this tool we can monitor and find more advanced details of process that are running in background and foreground. It will show you detailed information like image path, performance, graph, threads, TCP/IP, Security Environment, Memory statics etc. 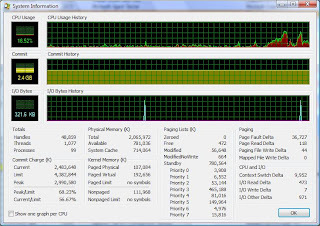 You can also monitor overall performance, CPU usage and other statistics of your PC. 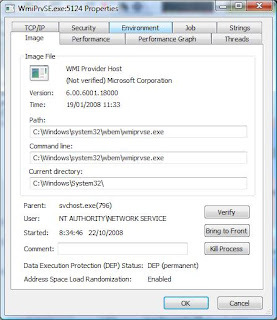 By using this tool you can also trace virus, Trojans, worms and other malicious programs that are running in background.